Nestled on the beach, this Carihuela hotel is within a 15-minute walk of La Carihuela and Bajondillo. Los Alamos Beach and Sea-Life are also within 1 mi (2 km). El Pinillo Station is 17 minutes by foot and Torremolinos Station is 26 minutes. 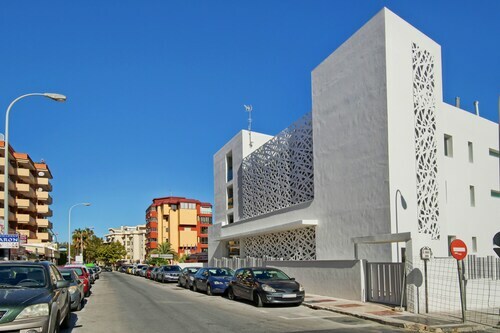 Located in Carihuela, this apartment building is within a 10-minute walk of Bajondillo and La Carihuela. 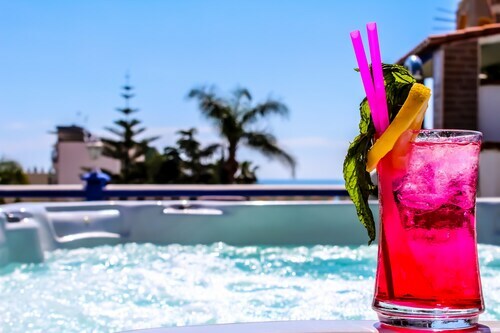 Aqualand Torremolinos and Benalmadena Marina are also within 2 mi (3 km). Torremolinos Station is 13 minutes by foot and El Pinillo Station is 19 minutes. 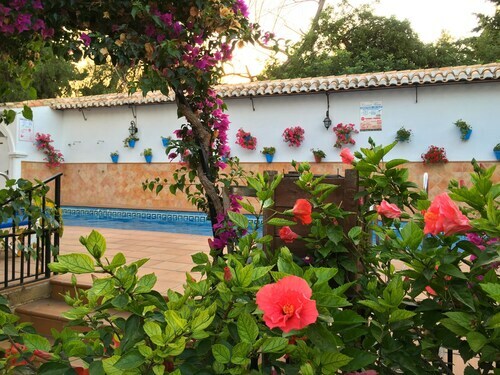 Located in Carihuela, this hotel is within 1 mi (2 km) of La Carihuela and La Bateria Park. Puerto Marina Shopping and Molino del Inca are also within 2 mi (3 km). Torremolinos Station is 15 minutes by foot and El Pinillo Station is 17 minutes. 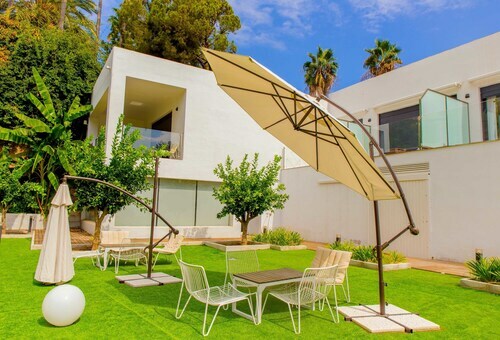 Located in Carihuela, this apartment building is within a 5-minute walk of La Carihuela and Bajondillo. 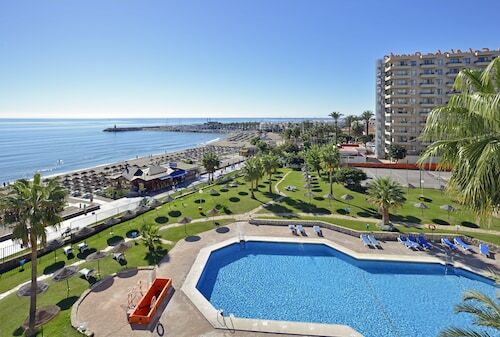 Aqualand Torremolinos and Benalmadena Marina are also within 2 mi (3 km). Torremolinos Station is 18 minutes by foot and El Pinillo Station is 19 minutes. How Much is a Hotel Room in Carihuela? Hotels in Carihuela start at $41 per night. Prices and availability subject to change. Additional terms may apply. 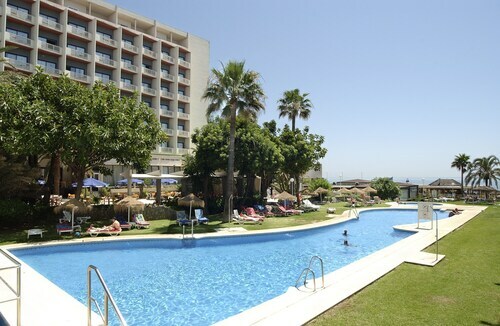 Nowhere else can you find better deals on Carihuela area hotels. You’ll find the best prices on the quirky, the haunted, the old, the new, and the legendary. If you’re wondering what side of the pricing scale some of these hotels fall on, you need not to worry. 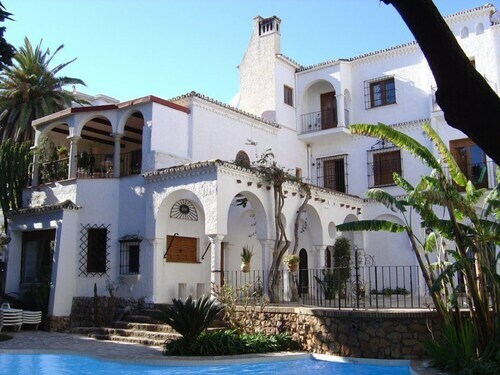 Compare cheap hotels near Carihuela to find the perfect one to will fit your budget. Leave the ordinary routine you’re set on behind and go. Go anywhere you want. Anywhere that makes you think, “I wonder what that’s like?” Part of Travelocity’s mission is to get you off-the-beaten path and the hotels near Carihuela are perfect for that. Find your new favorite watering hole on a quiet street. Discover a place to escape for the weekend with tasty local fare and unique sights. We want you to consider the places outside your normal comfort zone. Browse our selection and find the ideal hotel, in a place you’d like to explore. All was good, food was excellent. We couldn’t access wi-fi. Modest hotel good for basic service. 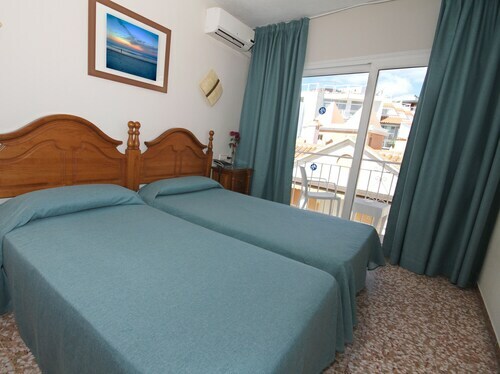 Well located on walking distance to the beach and nice fishing village La Carihuela. Easy for public transportation to downtown and trains to other cities. No parking on facility. Public parking nearby or at street. Nice Hotel old world Charm, Pool, Free Parking, Nice included breakfast. Very nice Staff.Weak Wifi, only good in lobby.